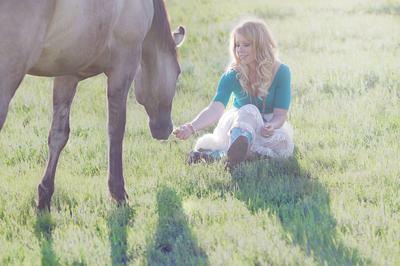 Lately, I've heard a lot about girls owning horses and to be an equestrian you have to own a horse. The truth is 1 out of every 10 girls own horses. I know a lot of people at my barn and only 3 of the 20 I know actually own horses but the remaining 17 love them just as much as the 3 who own them. My point is, you don't have to own a horse to be a horse girl. I ride every other week helping at the barn afterwards and I am enrolled in a youth horse program which we do riding clinics once a month with ranging disciplines and events along with a program called horse bowl which is basically like jeopardy but its all horses. I don't get a lot of time with them but I still love them more than anything in the entire world. I surround myself with horses in every way. My room is completely horse-themed, full of horse books, magazines, posters, photos and little horse trinkets and knick-knacks. I read horse books, write stories and poems about them, draw them, watch horse videos and look at pictures and quotes. I watch movies like Flicka and Secretariat. I daydream about them during the day and dream of them at night. Don't let anyone tell you that you have to own a horse to be a horse girl! I don't even own a horse too but I love some horses as much if they were mine. You are so right, you don't have to own a horse to be a horse girl. Thanks for saying to all of us what is so true. I don't own a horse, I barely even ride, but I'm getting my room decorated, and when it's done I'll have horse posters EVERYWHERE! I cannot remember a time where I wasn't reading a horse book! I totally agree! I grew up around horses and my family has about 50 horses but I LOVE them too! My friends always come over to ride who don't have horses and they have all their parties here! I don't have a horse, but the horse I ride at my stable (his name is Gizmo) is the sweetest and is like my very own horse. Same with me, I don't own a horse but my room is completely horse-themed too! Thanks so much for submitting this!